The tea-drinking continues and so does the fun of drinking from this mug. I shared a photo of it a couple of weeks ago but I didn't tell you about its special feature: when the mug holds a hot beverage, this one sheep on the side turns black. He's the black sheep of the flock. He fades back to white when the drink cools. The small Bears love this. The Bear has had this mug since he was a kid; we've been through several sets of cheap mugs over the years but we always hang on to this one and each of us enjoys drinking from it. My GB and I love to watch TV together, snuggled under an afghan now that it's cooler. This week we started series two of Land Girls, which was recently added to Netflix. I was so excited to see they'd added more episodes because I really liked the first season of this show. My favorite character is Joyce. There are some adult themes but they go over her head at this point. It's the snuggling she really likes. We had breakfast-for-dinner during the week - blueberry waffles and turkey sausages. I'm not a big fan of breakfast at breakfast-time; I often have to force myself to slow down and eat something, usually oatmeal or cold cereal in the mornings. But I do like breakfast foods when I feel hungrier and often crave them for dinner. I love fruit in waffles or pancakes and always have blueberries in the freezer just for this purpose. Hello and welcome, new readers and followers! I'm really glad you're here. Have you seen my Birthday Giveaway? Thanks to everyone who has entered so far. The prizes are simple but I'd be honored if you entered my giveaway. I've seen so many beautiful posts about remembrance in the past few days. I wanted to share an editorial about Armistice Day from The New York Times which was shared by one of my college professors back when it was originally published. I saved the xeroxed clipping for years, lost it somewhere along the way and went looking for it online a few years ago. I was so glad to find it archived. The language and imagery are powerful; they've stuck with me since I first read it. The message is still important as war and strife continue in the world today. Now I'm off to read your editorial. Isn't Land Girls a wonderful series? I watched all three seasons last spring, and was very sorry there wasn't a fourth. Thank you for your powerful reminder on armistice day Jennifer. OhMyGosh -- I'm lusting after that MUG!!! I love sheepies and it's adorable!!! 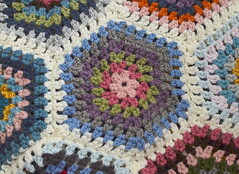 What a fun blog you have -- I've enjoyed seeing all of your crochet eye candy -- beautiful!!! And Breakfast for Dinner -- you're a girl after my own heart!!!! Add me to the Christmas list. My daughter in law who loves crafting too thinks I am the easiest person to buy for. Others disagree and I know who's presents I like the best! I love your new fabric. It is very Cath Kidston isnt it? Gorgeous pretty colours and patterns. The little sheep mug is great too, I can well imagine the little ones love it. Someone I used to work with had a more saucy version. A bikinii clad lady whose bikini magically disappeared when hot water was poured into it!! I love to snuggle with Bella while we watch Strictly Come Dancing. I like the snuggling much more than the dancing, although I do like that a lot too. The fabrics are gorgeous, I look forward to seeing what you make with them. What a cute mug! =) It's always so nice snuggling with little ones, enjoying that sweet time together. Lovely post Jennifer. Those words from the New York times are very moving. That editorial was extremely thought-provoking. Thank you for sharing, Jen. Have you heard of a book called 'Birdsong' by Sebastian Faulks? It's also a powerful book centred around the Great War and includes some of the best descriptions of life in the trenches. On a happier note, I love your new materials and can't wait to see what you do with them. Your sheep mug is so quirky. Lovely happies, like you I quite often have craft supplies as birthday and christmas gifts, that fabric is gorgeous, enjoy it, I think the funs in the making and giving. Mmmmm those waffles look so good. Love the mug, I can just imagine how the children are fascinated by it. 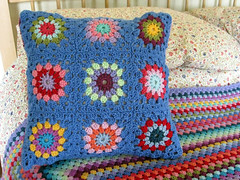 Snuggling under a beautiful handmade blanket with your little one sounds blissful. Your Christmas gift is delightful. I have a friend who often gives me a voucher for a fabric shop. It makes me very happy! In fact she gave me one for my birthday that I haven't spent yet, I'm saving it for a little project I have in mind. Such lovely, happy photos! That has to be the cutest mug I have ever seen! I love the photo of your hand on your daughter's hand snuggling under the blanket… really sweet times. We occasionally have breakfast fro dinner, too. We made a dutch pumpkin spice pancake yesterday and it was awesome! 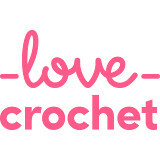 I love your fabrics! The colors are gorgeous and the prints are totally my style. I've missed your blog, I hate when I get busy and I try so hard to read up on everyone, not because it's a chore but because I truly love to see your blog and what's going on in your life. I had to laugh when you said you ordered yourself a gift... because you get what you want! LOL... You crack me up girl! Much love to you and I hope you have a great week! I just love those fabrics friend! They are unique and colorful and I can not wait to see what you create with them! And how sweet is that photo of you and your little one! It melts my heart! A very happy week to you!!! Oh and I am so with you on breakfast for dinner!! Nothing better!!! Another week of lovely moments, I love the mug. I LOVE the 'hot' black sheep mug; so very COOL! Where did your hubby get it? It must be great quality to have lasted this long, with daily use, and without a chip! Ingeniously creative! Thanks so much for linking to that amazingly powerful editorial, Jennifer. One of the best short reflections I've ever read. I love your photos. The black sheep mug must be great fun. I especially love the mug, I am a sheep fanatic so that mug looks like a lot of fun. This is such a lovely post Jennifer........lots of sofa snuggling with your little one and those waffles look delicious........the black sheep mug made me laugh. In contrast The Editorial is very moving and brings home the futility and hopelessness of war of war. Breakfast for dinner? I have never tried it but I think it would be popular in our house! I love that sheep mug. That mug is the best. I love it! I often have breakfast for dinner, but have never thought of adding fruit to my waffles. Thanks for the tip. I shall be making waffle batter tomorrow. Your happies always make me happy. Growing up it was such an awesome treat to have breakfast for dinner - it felt as special as going out to a restaurant (another rare treat). My mom usually made pancakes or waffles, or eggs in a nest (fried eggs in toast). It was just the coolest thing to my little mind. To this day, even though I've long grown up, it still feels like something extra special if I go the breaky route in the evening. I love the mug, its great. Now waffles, they would make me very happy indeed. Love this post. My kids are huge breakfast for dinner fans :) I prefer my waffles for breakfast, but they will eat them any time of the day! I love the mug too, very cute!